So if you know me, you've probably seen me with a book in hand or one within reach at any given point. And I've already mentioned that my mother and I browsed the newest Barnes and Noble Bookstore in her area on Black Friday (official day of shopping after American Thanksgiving). So with this in mind, I present the following Christmas selections straight from the kid's department. When I saw this book, The Snow Globe Family I called my mom over to look at it with me. 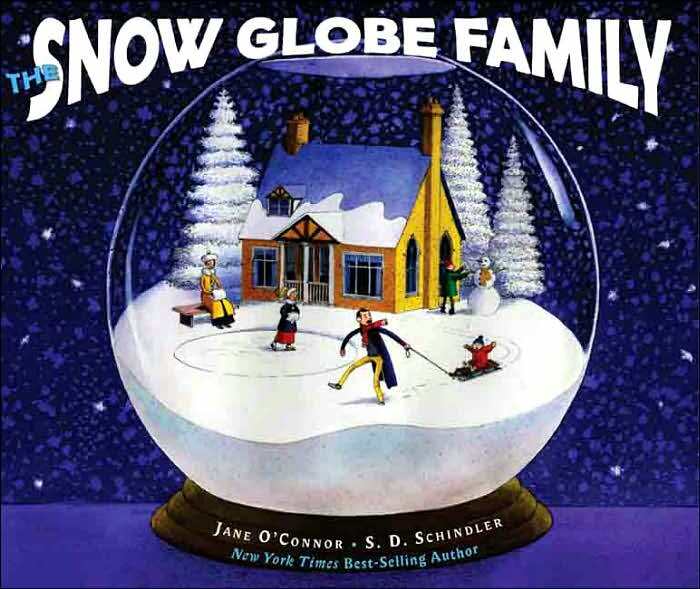 The book tells about the family living inside another family's snowglobe. You can imagine the fierce blizzard conditions that this little family encounters, but also the wonderful sledding opportunities that fall their way. It's a delightful story with Victorian era illustrations which come to life on the page. 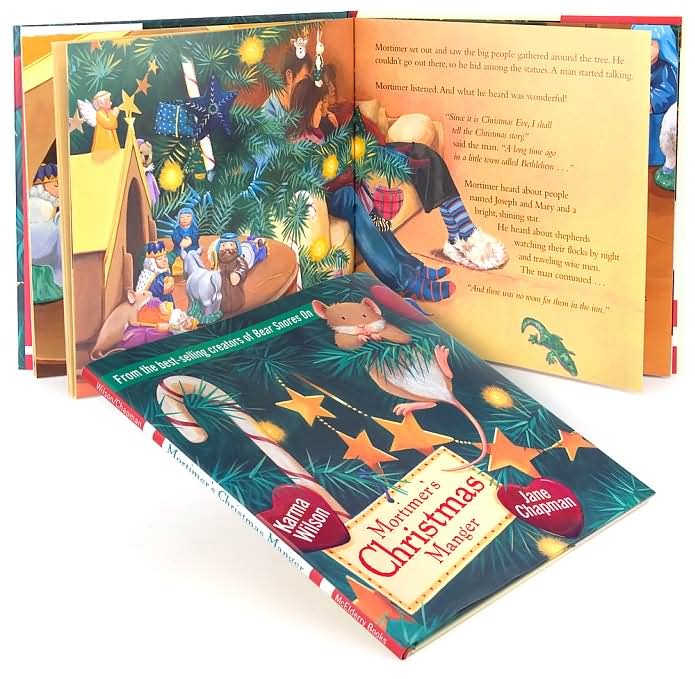 I came across this book, Mortimer's Christmas Manger last Christmas season, but rediscovered it this year online. It's falls into the "cute" department, with the mouse needing a new place to sleep and happening upon a family's nativity set. A story written from the Christian worldview of Christmas, it is a good reminder for us in this age of consumerism. The illustrations are very compelling and enjoyable to study. 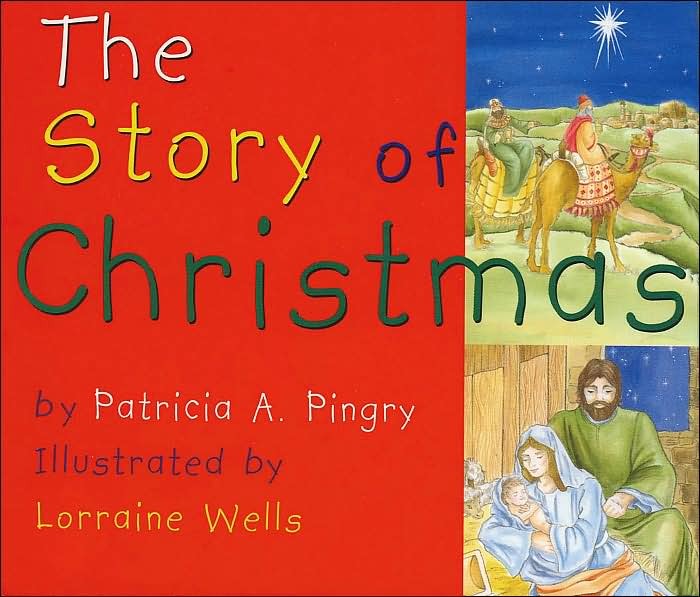 Patricia Pingry specializes in writing board books, including this one, The Story of Christmas for toddlers on a wide variety of events, people and Bible stories. The illustrator changes, but are all similar in design. We have half a dozen other books by her and all them are great for reading from a baby's first day. I think I have the one about Jesus pretty much memorized from start to finish. The Bible stories are accurate and pithy, which is rare these days among publishers. Some of her stories are written to explain the reason behind our Christian holidays. The explanation themselves are much needed by children today of which many have no biblical literacy to place these celebrations. Pingry also writes about people and events in American history. Her simple way of introducing well known people and symbols like Abraham Lincoln and The Star Spangled Banner is perfect for young minds. 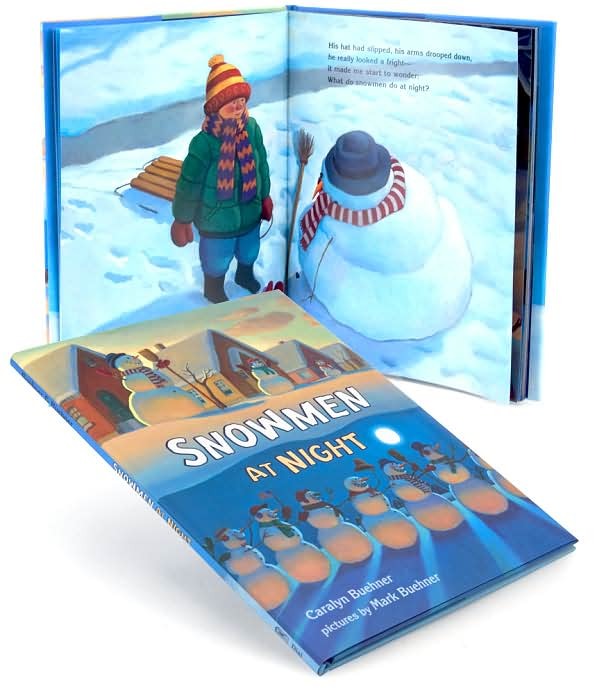 This last book, Snowmen at Night was first read to us at the Fredericton library storytime. The librarian said it was one of her new favorites and that she had her own copy at home, just for her. It's written to show what snowmen do when left alone outdoors all night. They seem to enjoy the same activities as their human designers and sculptors, only with a few slight twists. The illustrations are gorgeous works of art that really make you believe the story. There is a follow-up book with the snowmen encountering Santa Claus.